The R+L Carriers Hometown Showcase is an education initiative with a goal to generate awareness of the transportation and logistics industry. Logistics is utilized by a wide variety of institutions (everything from global corporations to city governments), the transportation and logistics industry is made up of many different parts that perform very different functions, and there is no shortage of career paths . One way we show students that we are investing in their future is by providing Hometown Achievement Awards and Scholarships. At the end of 2017, several students from Washington Court House and Hillsboro schools received both awards. After learning about career opportunities in transportation and logistics, Washington Court House students got the chance to visit the Hometown Showcase interactive hauler. We were honored to be a part of their pep rally! 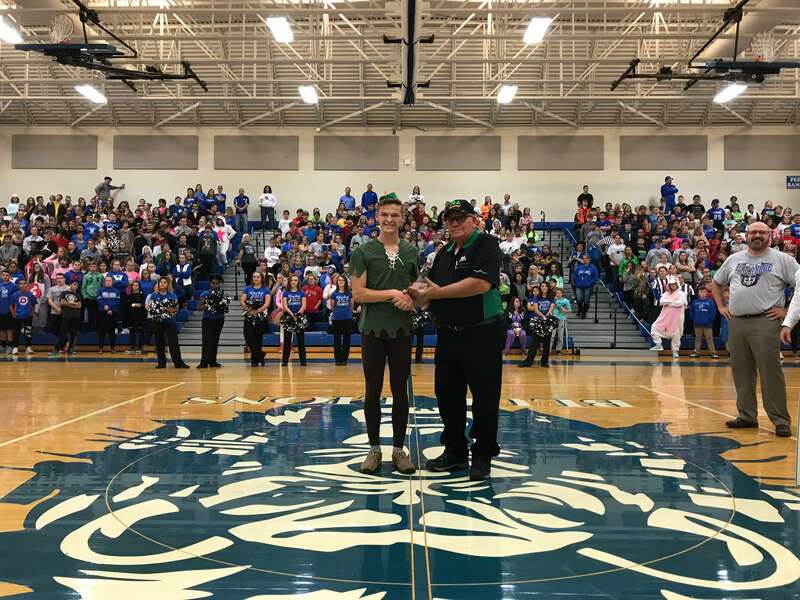 This was a fun opportunity for our representatives because they were able to present an Achievement Award to Grant P.
Grant plans to attend Wright State University after he graduates spring of 2018. Grant participates in baseball with his school and plans to attend Wright State University after he graduates spring of 2018. Congratulations, Grant! We also gave out a scholarship to assist a student in his future. Zane N. participates in wrestling and football at Washington Court House. During the day we gave a presentation to juniors and seniors about transportation, logistics, and supply chain management. Like many schools we go to, students are surprised to learn that logistics is so prevalent in everyday life. Emma L., Marcy M., and Sarah W. all received the Hometown Showcase Award. Emma is active in both her school and the community. She is VP of The Children of the American Revolution, and a member of Daughters of the American Revolution Club. She also volunteers in the Hillsboro High School Library while working at the Highland County Public Library. Pictured from left to right. Marcy, Emma, and Sarah accepting the Hometown Achievement Award at Hillsboro High School. Marcy is a member of the Spanish Club and is also active in her church. She aids in the Hillsboro High School office, assisted in pet therapy at a local nursing home, and assisted in community clean-up projects. Sarah is active in the community, her church, and volunteers for Kamp Dovetail, and a mobile food pantry. 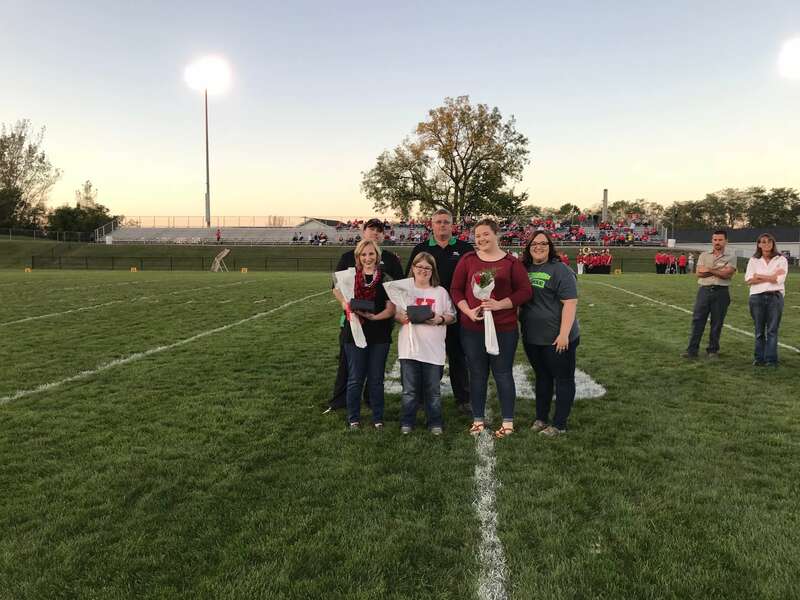 She is a member of National Honor Society, has participated in the Hillsboro High School swim and track & field teams, and is enrolled in College Credit Plus classes at Southern State Community College. The future of the logistics industry is in the hands of students across America, and that’s why we want to reach them. 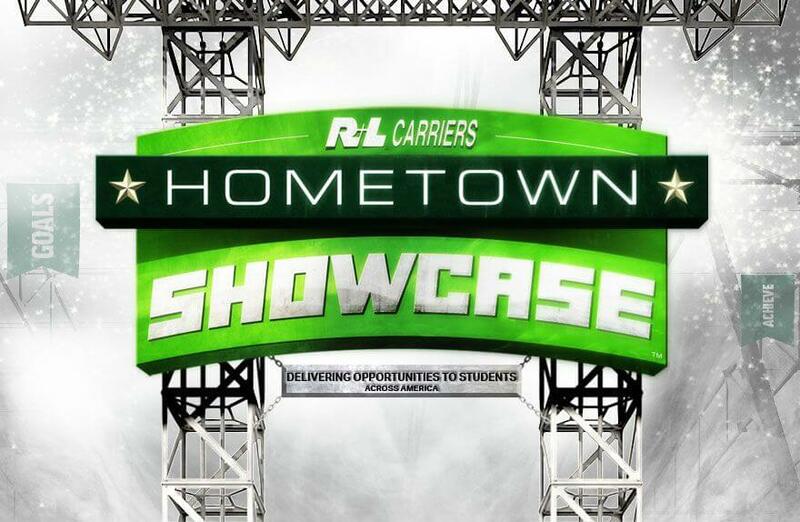 If you are interested in the R+L Carriers Hometown Showcase coming to your school or community, contact us today!